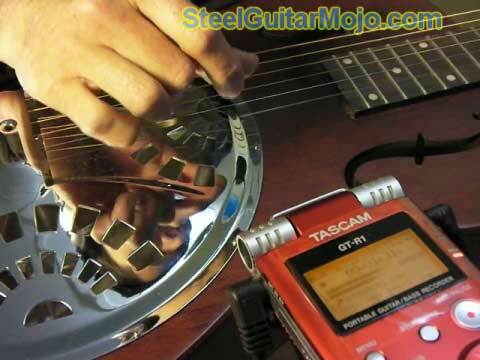 A true workhorse of a Dobro, made for jamming, learning, and even recording and gigging. 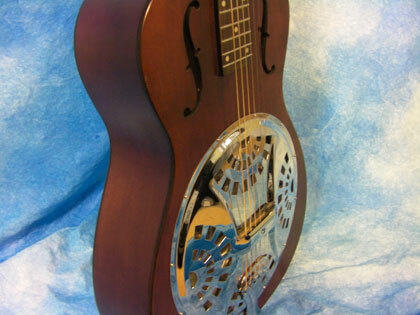 Lately there's been online chatter and what-not in the forums about the Gibson DOBRO © Hound Dog resonator guitar--and in particular the SQUARENECK model, which we feature on this page in the video review below. Questions as to build and sound quality are obviously triggered by the line of guitars affordable asking price of around $300-$500 . We're talking about a guitar that's made overseas of maple (laminated), using a single resonator cone and a spider bridge, so expectations are usually not high. Moreover, the Tone of this instrument is unmistakably DOBRO, with its sweet and punchy, rhythmic projection. And at the end of the day, it's actually a really nice guitar in fit and finish. This guitar records very well for its price! Listen to a sound sample of this very guitar, recorded acoustically using a TASCAM GT-R1 Portable Guitar Recorder . Best thing is, you can leave it lying around for those special moments when inspiration strikes, or even take your music with you for a quick trip to the park or beach. The following presentation features the guitar being played in a Hawaiian style--the Aloha Oe verse melody--and in some free blues-inspired rhythmic explorations. Just remember that there are two models. There's the more affordable Dobro Hound Dog that I review in the accompanying video; and then there's the nicer to look at Hound Dog Deluxe. Pick up a copy of this fantastic album of all Hawaiian favorites played by the legend himself: Les Paul. 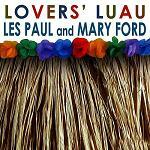 NOTE: The video below features Les Paul's recording from the Lovers Luau sessions. Please note that the video uploader mistakenly titled it "Song of the Islands", but we all know this is not that song.